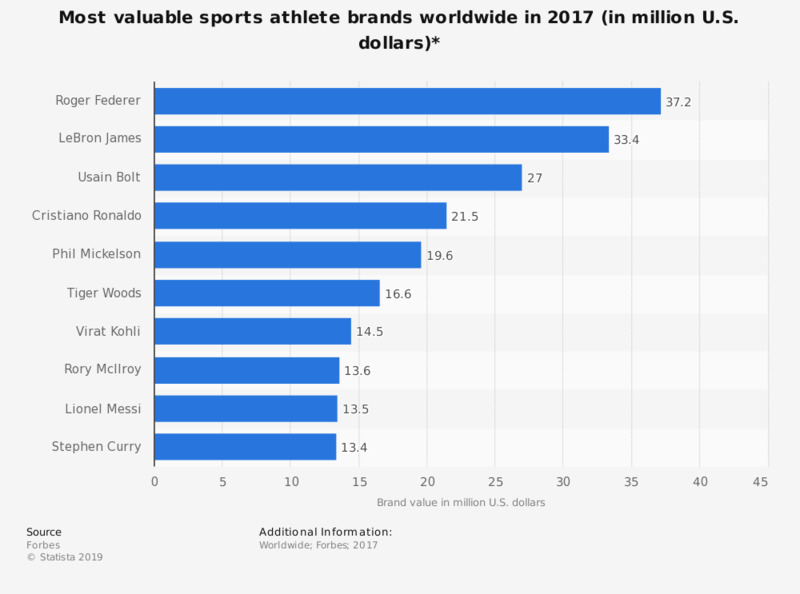 The statistic shows a ranking of the most valuable sports athletes brands in the world in 2017. The most valuable athlete brand in 2017 is Roger Federer. * An athlete's brand is their endorsement income, less the average endorsement income of the top 10 athletes in the same sport.